When work and lifestyle becomes hectic and toxic, it is oftentimes the amount and quality of sleep that is compromised. While it is the general rule to sleep 8 hours a day as strongly suggested by the elders, recent research shows that we may deviate from the usual 8 hours to allow for more or less sleep depending on our age. 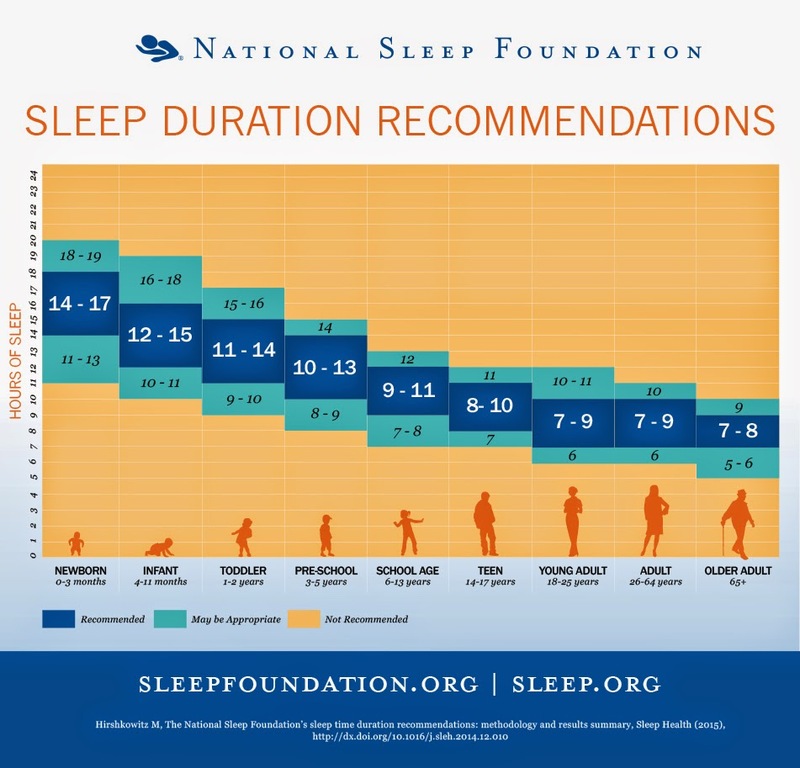 The National Sleep Foundation has recently changed their recommended sleep based on different age group. The data show that younger people need more amount of sleep than their older counterparts. For a 30+ active me, then having a 6 - hour sleep a day is now scientifically acceptable. Well, that can put my guilt at rest. Bottom line is to have enough sleep to get yourselves recharged, so, depending on your age and lifestyle, go for acceptable sleep hours.